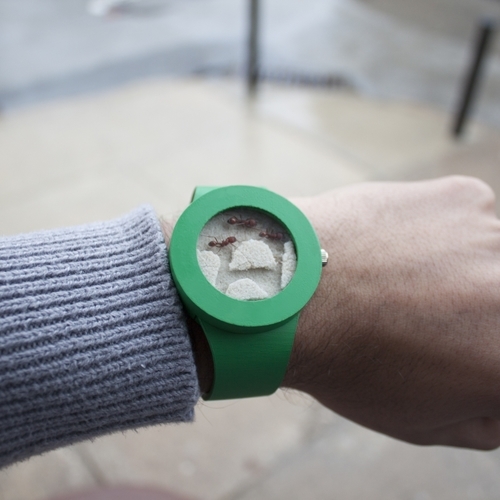 The Analog Watch Co. has just launched an unusual watch—not only is it unable to tell the time, it has live ants crawling around in it. 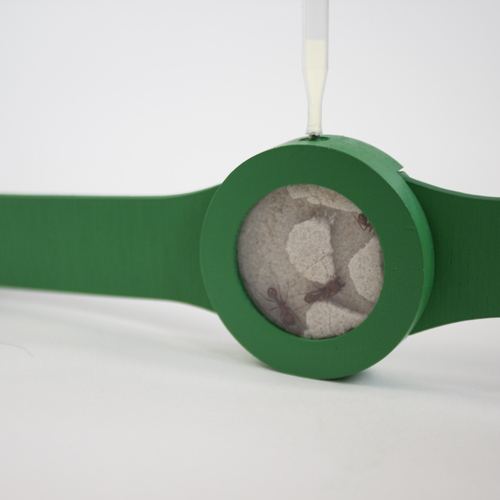 The Ant Watch is essentially a tiny ant farm that aims to remind the wearer of “the elegance and the complexity of the natural world every time it's worn”—capable of holding up to three to five live harvester ants at a time, it is filled with shake-resistant nesting materials. 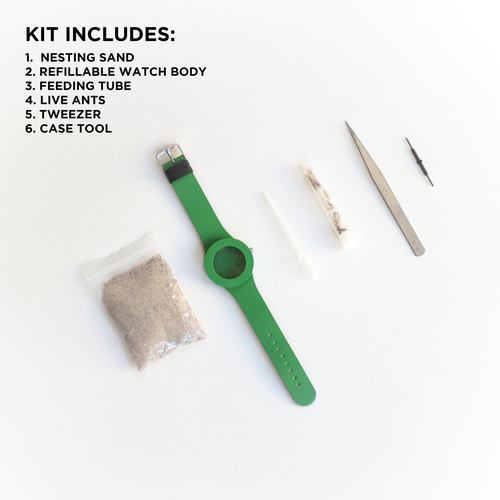 When you purchase one of those watches—made of plant-based bio plastic—you would receive a vial of five live ants, sand, a food/water dropper, tweezers, a case opening tool, and simple and easy care guide. You would also receive a new batch of ants every four months for a year, as the insects are expected to live for four to six months—according to the creators of the Ant Watch, “if you don't need them, you can always set them free”. The ants have to be fed liquid sugar one to two times a month with a specially designed drooper through a hole in the watch’s crown. 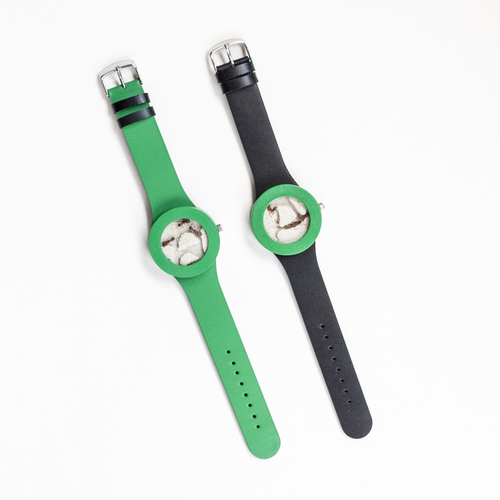 Priced at US$59, you can preorder the Ant Watch here—watch do you think of this non-timekeeping “timepiece”? Watch the video below to find out more about it.